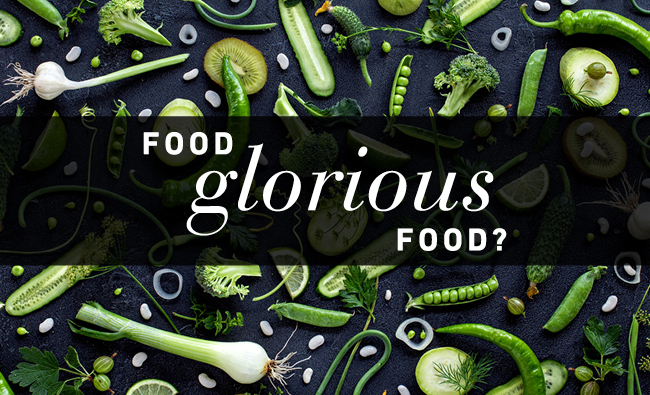 Food glorious food? | iiaa Ltd | The UK and Ireland distributor of Environ Skincare, jane iredale makeup and Advanced Nutrition Programme. Next month is Organic September, an annual month long campaign which raises awareness for organic produce. The UK organic market is reported to now be worth £2.2 billion*. But why are more people turning to organic foods? The answer may lie in the soil and modern day farming methods which could be destroying the nutrient content in foods and pushing consumers to be more conscious when it comes to their food choices. A United Nations report estimates that over 2 billion people worldwide suffer from ‘hidden hunger’-vitamin and mineral deficiencies, undermining their physical and mental health. So, what is happening to the food we eat? For good health, humans need several vitamins, minerals and over 30 trace elements for the normal functioning of key metabolic processes. These nutrients are essential to life, yet industrial farming has led to the serious depletion of those vital elements from our food. A healthy teaspoon of soil contains over 5 billion living organisms representing 10,000 or so different species. To produce healthy growth, fertile, soil needs large populations of soil organisms, which are constantly breaking down and rebuilding nutrients from plant and animal waste and in the process making minerals available to plants. Most modern farmers routinely manage their crops using chemical fertiliser, particularly nitrogen in the plant form of ammonium nitrate or urea. Nitrogen fertilisers produce a flush of leafy growth but weaken plants by stimulating excess growth of sappy tissue with thin cell walls and an imbalance of minerals. Crops grown this way are more prone to disease which is why they need constant spraying with chemical to keep them standing. In turn, these chemicals kill micro-organisms in the soil, making it difficult if not impossible for the plants to absorb vital minerals. This in turn makes the plans more susceptible to disease and so even more fungicides and pesticides are applies and a vicious cycle sets in. Foods farmed organically contain fewer pesticides. There are only 20 pesticides that can be used by organic farmers, in order to be classified organic, all of which are derived from natural ingredients. This is compared to almost 300 pesticides used in regular farming. 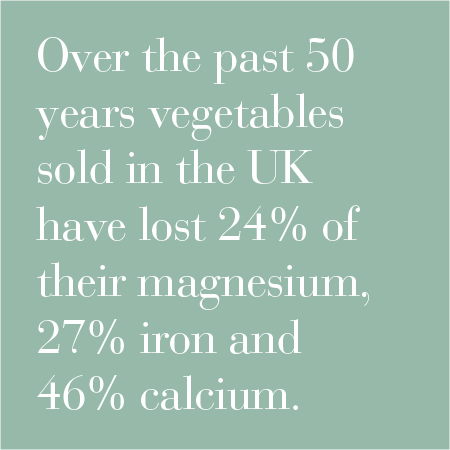 Dr Mark Draper, an integrated physician, is convinced that a sizeable portion of the UK population suffers from type 2 malnutrition, meaning they are deficient in essential micronutrients. The major nutrients such as protein carbohydrate and fats are present in abundance - sometime excess. But people no longer get the essential minerals they need to stay healthy. According to Dr Draper the ideal solution would be a return to well grown foods. However, where these are not available the alternative is a good food supplement to replace the micro-nutrients missing from the diet.